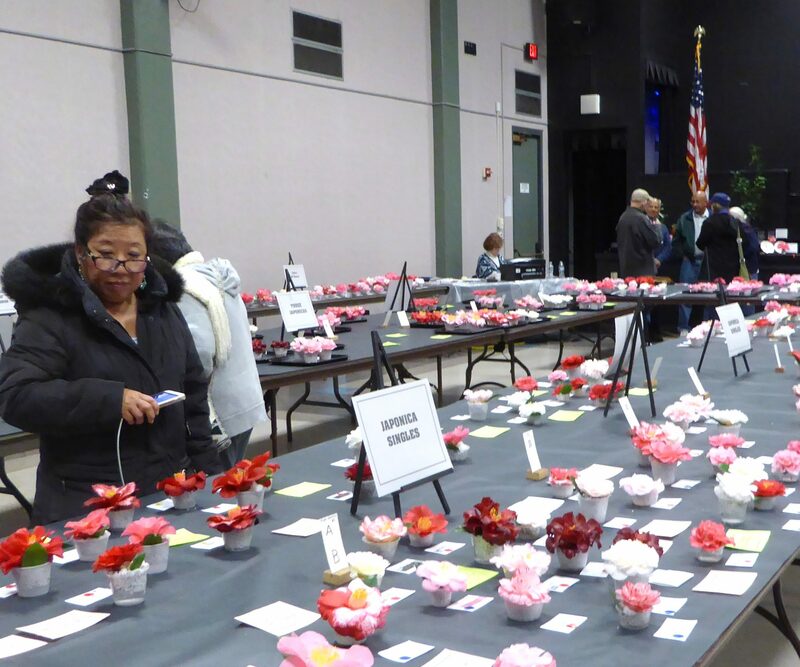 Almost 1,000 pink and white camellias filled the Santa Clara Community Recreation Center for the 77th Annual Camellia Show on Feb. 24 and 25. “They are so beautiful—all the colors and shades and sizes are amazing,” said Citlalli Del Carpio, attending the show on Saturday with Mike Gaunce—an annual tradition for the two since moving to Santa Clara 14 years ago. It was the first time for Santa Clara resident Suds Jain and his family to attend the show, which coincided with a weekend visit from Jain’s parents from Davis. It was of particular interest to his father, Subodh Jain, who taught agronomy (the science of soil management and crop production) at UC Davis. Subodh Jain introduced the idea—surprising to some—that the camellia is more than a pretty face. Camellia sinensis, an evergreen shrub, is the variety grown for tea, and it is the substance of all green and black teas. So if you drink tea, you’ve been drinking camellia tea all along and may not have realized it. The ornamental camellia japonica—“the rose of winter”—is common to Santa Clara gardens. Although grown for its showy flowers, an internet search turns up accounts and blogs of those who have also used their japonica plants for tea. It is the bud tips and youngest leaves of the plant, not the flowers, that are used. How the leaves are processed makes the difference between green and black tea, with oxidation resulting in black tea. Some home growers caution anecdotally that tea made from the japonica plant seems to be higher in caffeine than tea made from the sinensis variety, commonly known as the tea plant. Camellia growers from around northern California compete to win trophies such as crystal bowls and champagne flutes in the annual show, which is co-sponsored by the City of Santa Clara and the Camellia Society of Santa Clara County. “We’re pleased with the number and quality of flowers we’ve gotten. Because of the weather, many froze,” said Camellia Society President John Mendoza III, whose father was a charter member of the society in 1940. 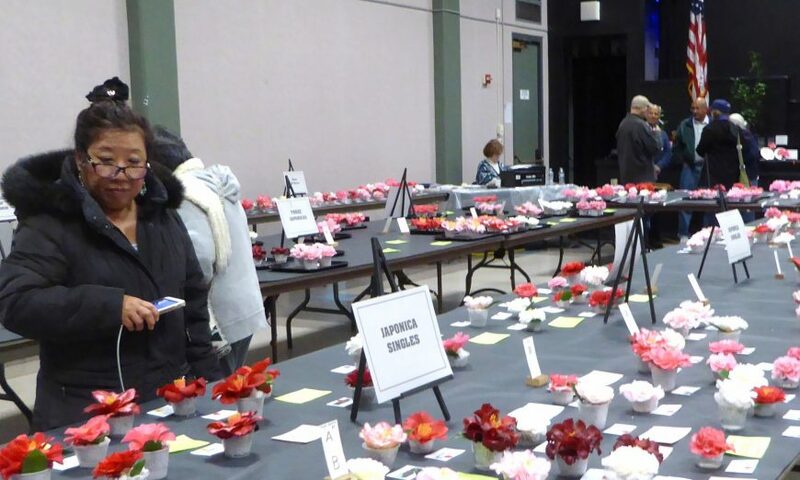 Thirty-two certified judges were on hand to evaluate the form, color, size and condition of each camellia and award the honors. The 2018 overall Best of Show winners were grown by Leone and Helmuth Wildemann from Sacramento. Rose and Ted Gackstetter won a trophy for the Best Local Member Japonica. The Camellia Society meets at 7 p.m. the third Wednesday of the month, September through May, at the historic Headen Inman House, 1509 Warburton Ave., Santa Clara, behind the Triton Museum of Art. On March 21, beekeeper Steve Herbert will speak about “Caring for Bees.” Nonmembers are welcome. 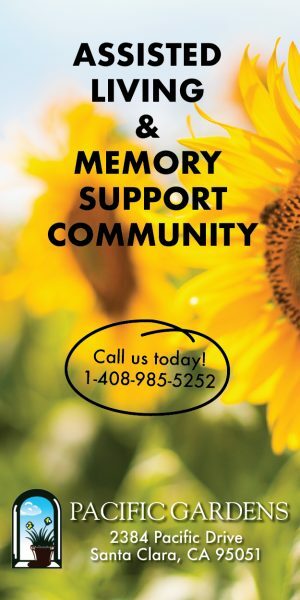 For Camellia Society information, call Mendoza at (408) 249-5696 or (408) 203-0011 or Bill Allman, Vice President, at (408) 295-8068.